Day Fifty-Eight: A Liebster Award? Last night a very nice blogger, whom I thank very much, Cook’s Reviews, nominated me for something called a Liebster Award. Apparently this is just a means of discovering new blogs and sharing random things about yourself. I’d been nominated for one before, but declined to pass it on because I’m a horrible person I didn’t think it was suited to my end goals as a blogger/Author. To be honest, it seemed like a kind of silly thing to do, but maybe that’s just because I’m bad at this whole “promote yourself” concept. And not a very nice gal… Since it was very nice of people to nominate me. 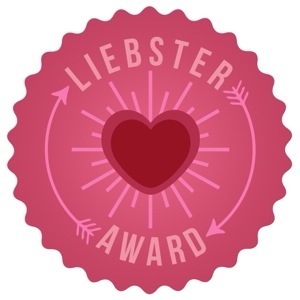 However, I have changed my mind and decided to do, what I am now calling, an EXTREME LIEBSTER AWARD! This is like a normal Liebster in that you say 11 facts, answer 11 questions and pass on 11 more to your favorite blogs, blah blah. The twist is… you want random facts? We’re going to get as random as possible! Let us begin on this EPIC JOURNEY (I’m into the ALLCAPS today…)! 1) I once electrocuted myself by chewing on my father’s cell phone charger. Why? I don’t know. 3) I have no intention of ever getting married and having children despite attempting to make a career here out of writing for children. 4) Currently, I am not wearing pants. 5) I make fun of people for putting too much sugar in their coffee, but, when alone, I make my coffee hard-core sweet. Just to be a jerk. 6) One time, as a child, while tubing on a creek with my little brother, my father swung a turn a little too wide and crashed me into the piling of a dock. I’m not dead yet! 7) I’m overly-competitive at board games. If you knew me for even 5 minutes, you would probably know this. I once hit my younger brother over the head with a solid plastic Monopoly board (Star Wars Episode One, Limited Edition). 8) I have a secret savings account dedicated to one day buying a Private Island. It has a whopping $800 in it. One day… One day! 9) I had a not-so-secret dream as a child that after I graduated college I would buy a VW Microbus and road trip across the country. I never did that… But I still think I should. 10) My characters for my book were originally created by the Four-year-old I used to babysit for one day when she refused to take her nap. We wrote a story together. It was about a girl, Bean (my current protagonist), that told overly-creative lies, particularly about a Hippopotamus destroying her bedroom (which does not happen in my book). 11) One of these facts is made up. I read that I should in the Writer’s Digest. Also, I’m secretly very narcissistic and respond overly well to people paying attention to me… If we’re being honest here. Series is 100% Harry Potter just because it was my first and I honestly don’t read too many series outside of children’s lit. My favorite book… there are a lot. My favorite book I read in the last year was Eugenides’ Middlesex or Mary McCarthy’s The Group. I also recommend Special Topics in Calamity Physics by Pessl to everyone I meet because it’s so intense and has the best, twisted ending of all time. That’s unclear. Would I want survival handbooks or something to literally help me survive, or would I want just books that would entertain me? If the latter, then the last three books I just mentioned plus a Joshua Ferris book to keep me laughing (hilarious). And probably The Count of Monte Cristo to help me plot my revenge against whoever stranded me on the stupid island. Stores. Used book stores preferably although I grew up in a Barnes and Noble… There’s a nice bookstore here in New Orleans with an adorable cat that once jumped on the two-year-old I nannied for’s head (she was ok!). That was kind of funny, actually, so I’ve liked that place since. There is absolutely no organizing principle. I don’t even always use shelves. They are more likely just stacked in the order I’ve read them in, so they tend to organize themselves by the phases of my life. I do have separate stacks for those I haven’t read yet, though. JK Rowling? Mark Twain might be interesting because I’d like to figure out how he managed to confuse which way the Mississippi River flows in Huck Finn… Kind of a big error… Maybe the Bronte sisters so I could smack ’em around a bit (Not a fan, sorry). Or Nicholas Sparks to ask a) If he’s only one person, and b) If he’s ever going to come up with a new idea to write rather than publishing the same crappy romance over and over again. Cliche endings. If I can predict your ending at any point in the story, you’re writing it wrong. Yes. I listen to music, typically. If I’m really on a roll though, I can listen to/tune out almost anything. Yesterday, I got to listen to the neighbor’s favorite Opera CD on repeat. That was grrrreat. 1) If you were a tree (i.e. stationary and silent, but still conscious), where would you want to be planted? 2) On a scale of 1-10 (One being “Love them;” Five being “I sometimes want to undo the top button after large meals;” and Ten being “I’d rather rip them off in public and walk around in my undies!”), how much do you hate pants? 3) Have you ever noticed how terrifying squirrels look up close? 4) What book would you like to be written into? 5) What is the oldest item in your fridge? Why haven’t you thrown it away? 6) Your favorite condiment is what? 7) Getting a tad personal: Who is the most interesting person you have ever kissed? 8) What ice cream flavor best describes you as a person? 9) Are you having anything interesting for dinner tonight? 10) Have you ever accidentally set anything on fire? If so, what? 11) If you could get a tattoo, what would it be and why? If you already have one or more, what are they and their significance? 1) Neuron Tree’s Scribing English because she entertains me. 2) Like Star Filled Skies because she’s adorable. 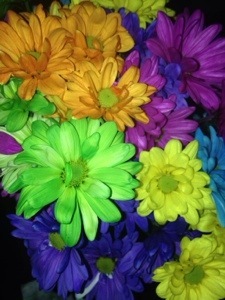 3) kelzbellzphotography because she’s brief like a twitter. 4) Zen/Xen because he’s insanely honest. 5)Strugglesaurusrex because she’s the poet of my dreams. Ok, I’ve put waaaaay too much time into this already. Too much to write. Bye. Thanks for being awesome, everyone. And for reading all of this. For that, YOU deserve an award.